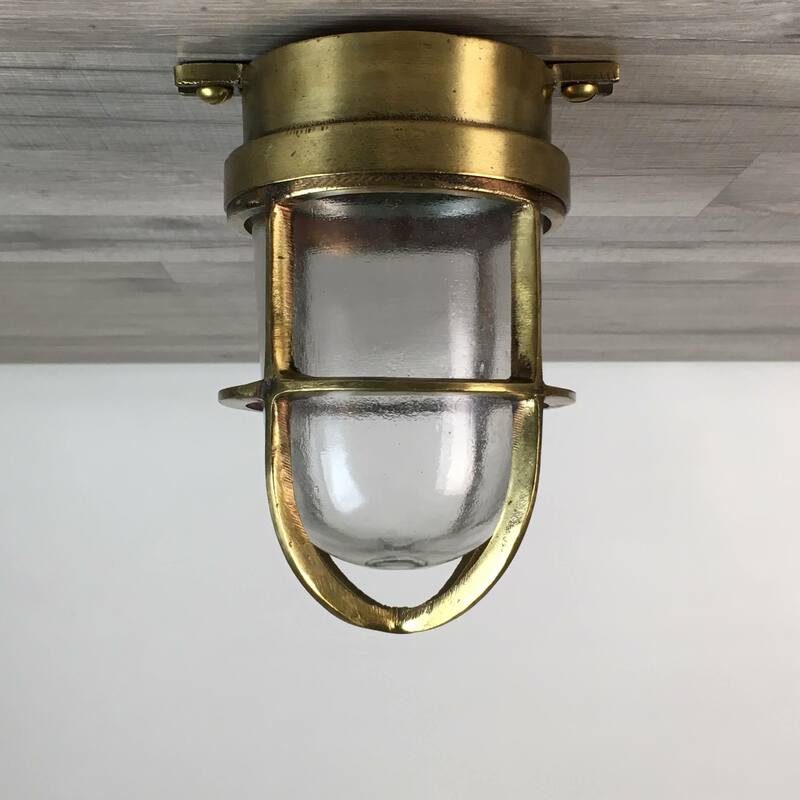 This vintage nautical brass ceiling light is constructed of solid brass and measures 7 inches tall x about 5 inches wide. The base has three mounting lugs. We have fitted the old conduit openings with copper caps. This light weighs nearly 3 pounds. We have completely rewired this light with all new UL-Listed parts that are rated for any voltage under 250 volts. The bulb socket takes a normal screw in house bulb of 65 watts or less. The cage spins off to access the bulb holder area. For $20 extra, we can add one of our 6 inch brass adaptor plates that should end the frustration of covering an existing junction box. 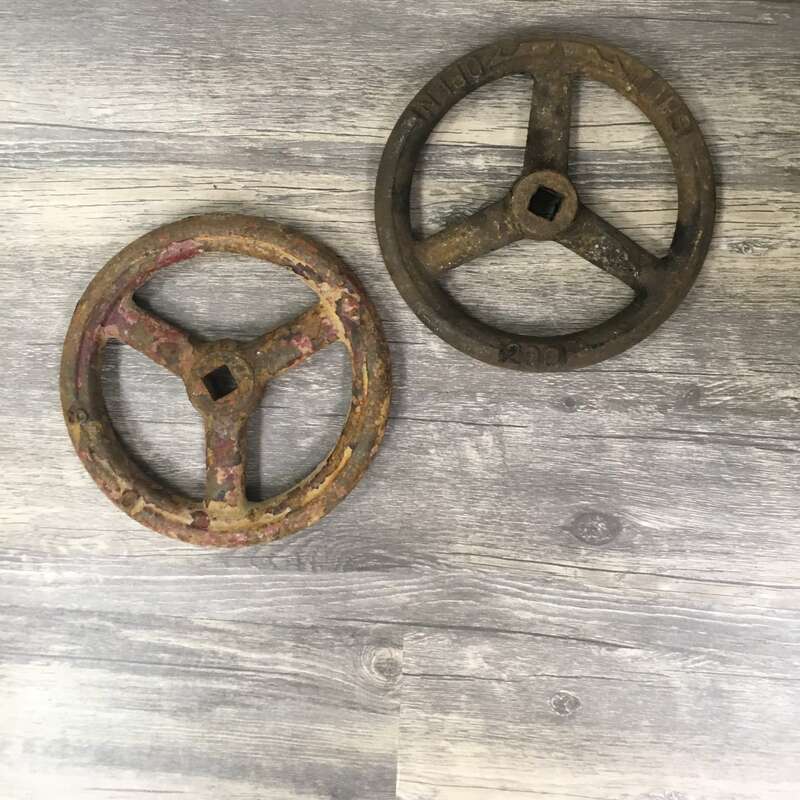 You will be shipped the vintage nautical brass ceiling light with ribbed globe shown in the photos.